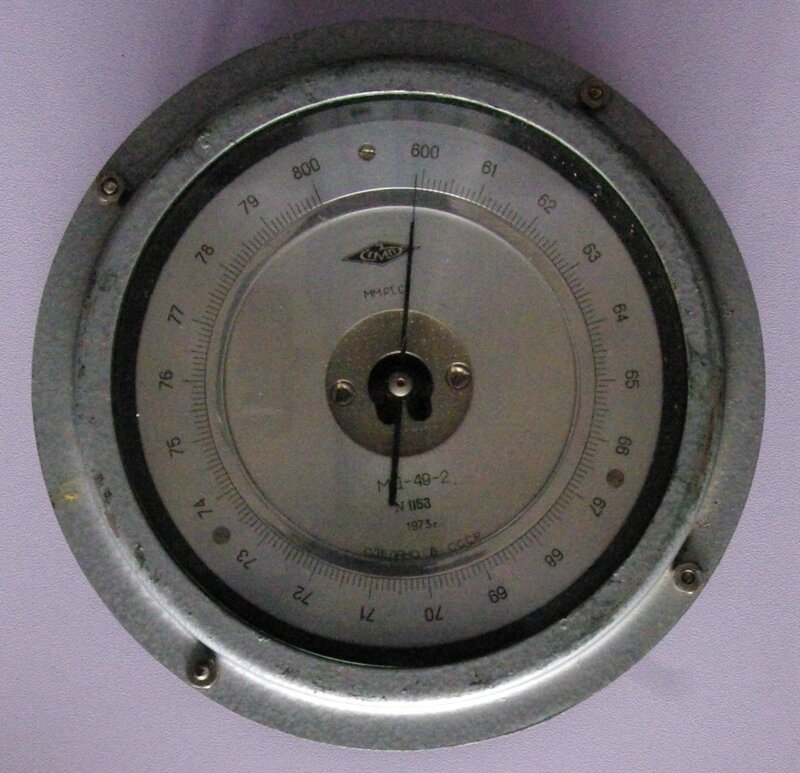 ​This GMP MD-49-2 barometer was made in the USSR. Unfortunately, it is non-functional. The spindle for the tensioning coil spring, which is very thin, apparently broke in shipment from Bulgaria to the USA. The logo at the top of the dial of this barometer reads 'GMP' in the Russian alphabet. I assume this stands for Gidrometpribor, which means hydrometeorology instrument. It was made in 1973 in the USSR, presumably by the Gidrometpribor Scientific Production Association, which was the state-owned producer of meteorological instruments. I suspect it was produced at their Moscow plant based on information available online. It has about a 4.25 inch dial face and is about 2.75 inches deep. Go to Gidrometpribor Scientific Production Assoviation page. Go to Gidrometpribor OAO (Moscow) page.